I want to read this massive standalone fantasy so badly, but the sheer volume is intimidating. Maybe it’ll be easier to digest as an audiobook? 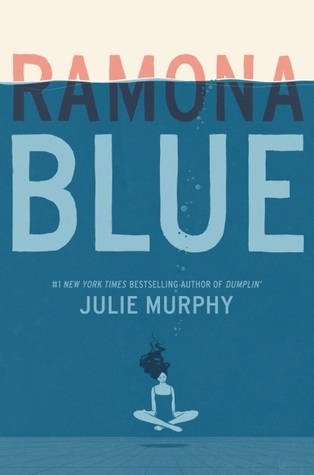 This book has been HYPED by so many of my fellow bookbloggers, and I’ve seen it recommended as an audiobook too because of the podcast format of the story. So I definitely want to try it. I want to try reading more non-fiction, and what better way than listening to the story of Michelle Obama, as told by Michelle Obama herself? This sounds like such a fun, cute romance that I want to try, so maybe an audiobook is the way to go. I’ve been wanting to read this one FOREVER and for some reason I keep procrastinating, so maybe I’ll have better luck with the audiobook version? Same, for some reason I keep putting off on reading this, even though it’s such a widely loved book. So I’m thinking an audiobook will help me read. I read and loved Illuminae but I still haven’t gotten to the rest of the trilogy. And seeing as this series has such a fun and unique format, I’m thinking it would be a really fun audiobook as well. Same story as so many of these. 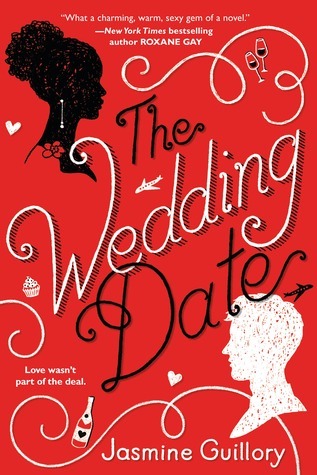 I want to read it for so long, but haven’t gotten around to it. AN audiobook may help with that. This historically incorrect comedy sounds hilarious, so it would definitely make the ride to and from work a blast! 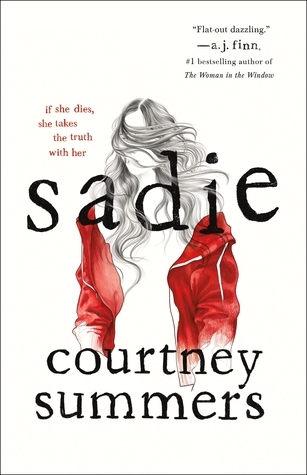 I love the idea that this book explores the idea of a girl who thought she only liked girls starting to feel attraction to a boy and questioning her sexuality. There’s unfortunately a whole lot of bi-erasure and I think this book addresses this topic nicely and would be a fun audiobook. 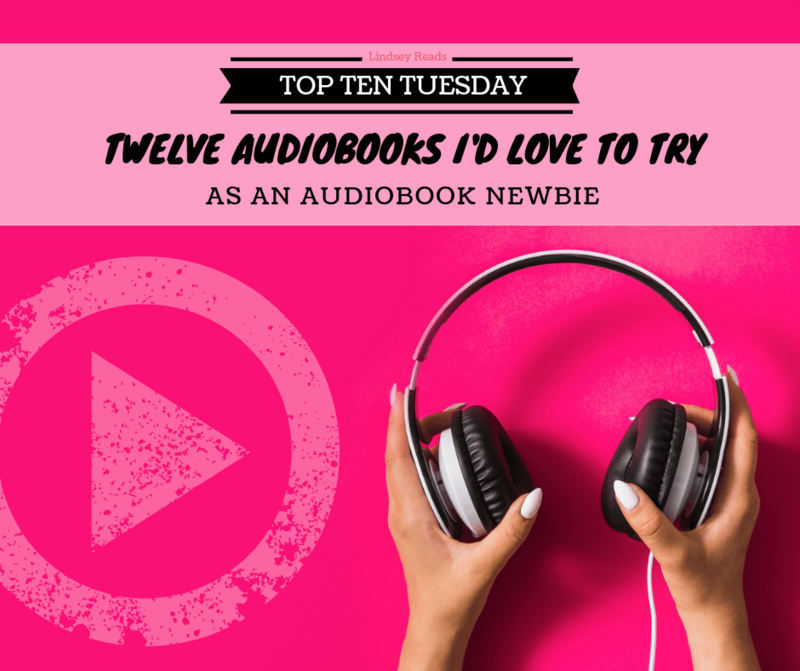 ARe you an audiobook fan or not really? If you are a fan, which ones do you highly recommend this newbie to try? It would be interesting to listen to illuminae on audio! I guess priory could be easier on audio. You wouldn’t be constantly reminded how big it is haha. 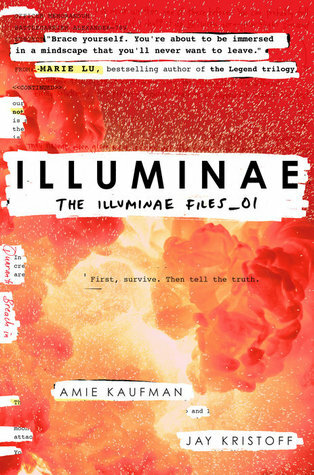 I think Illuminae would be fantastic on audio! And the Seven Husbands sounds great too. I’d love to try Michelle Obama’s book on audio. I’ve heard the book is excellent and I’ve love to hear her tell her own story. Yes, it sounds so good, I hope to try it soon! Great list! I love listening to audiobooks while driving, too – it tends to be the best time for me to listen to them. I’ve been meaning to re-read The Night Circus, actually, because I didn’t love it when I read it a few years ago but my reading tastes have changed, and I remember the writing style was beautiful so I bet it’s a wonderful audiobook. I’d recommend the audiobook for Strange the Dreamer – Steve West is a fantastic narrator. I also love the audiobooks for the Memoirs of Lady Trent series – the narrator, Kate Reading, brings those books to life for me – and I’m currently listening to the audiobook of Red Sister, read by Helen Duff, and I’m really enjoying it so far. I just started the Night Circus today and it does have a beautiful writing style! Hope I’ll love it, and you’ll love it better on the second try 🙂 Thnks for the recs! 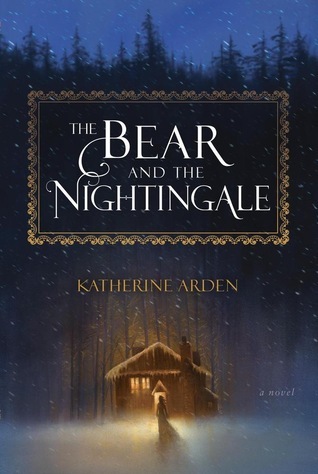 I hope you like The Bear and the Nightingale when you read or listen to it. I hope so too, I heard amazing things! 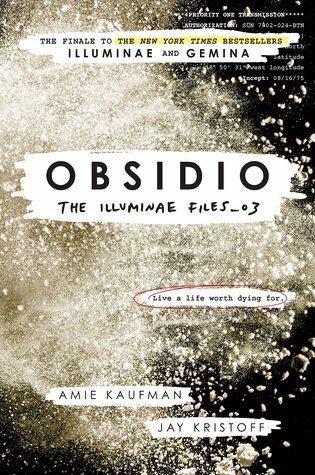 I’ve heard Sadie and The Illuminae Files make really good audiobooks. I might need to try them at some point. I’m attempting to get into audiobooks again, I liked them as a kid but I haven’t read one in years! 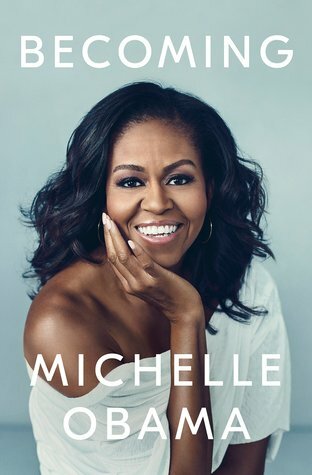 I’m almost done with Michelle Obama’s book, and whilst I can’t speak to the narration because I read it in physical format, the book is great! I want to try Illuminae and Sadie as well, and although I have Priory in hardback, if I find it too much then I’ll definitely switch to audio. 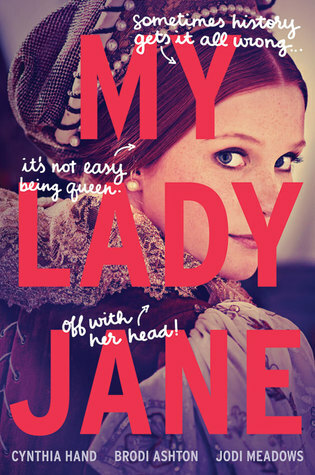 OOh good to know, they’re defintely up next on my audiobook TBR! I’m reading Becoming right now. It definitely would make for a good audiobook. 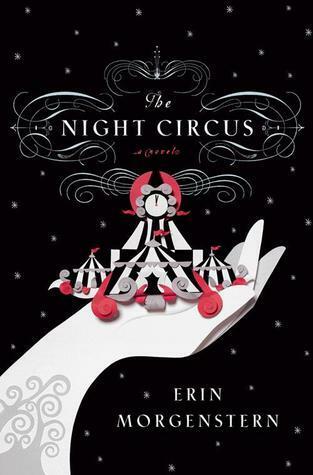 The Night Circus is such a wonderful audio book!! Michelle Obama’s own narration of her book is GREAT, and I really like the narrator on the Winternight series, so hopefully you can get into The Bear and the Nightingale via audio! 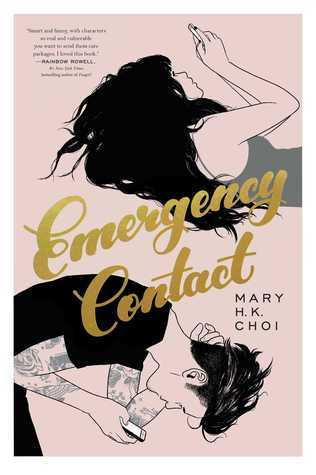 So glad you loved them, they’re both up next on my audiobook TBR! I usually listen to audiobooks when I’m driving (or cooking) too. I haven’t listened to too many yet, but I just got an audible subscription. 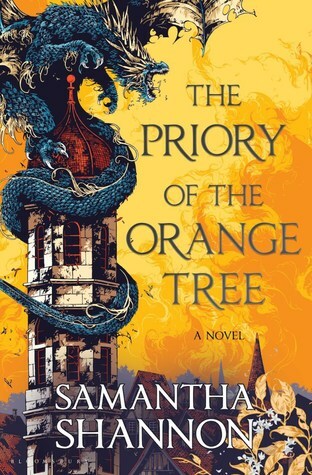 I’m looking forward to reading Priory of the Orange Tree, but I have the ebook of that. Yay for a fellow Audible subscription newbie 🙂 Hope you’ll enjoy Priory! I listen to audiobooks during my commute, too! I’d love to listen to Michelle’ Obama’s book, but the length scares me! oh I didn’t know it was that long yet *oops* still want to try it though 🙂 Hope we’ll both end up loving it! I struggled listening to The Night Circus on Audiobook because there are time jumps and I kept getting confused. They did say the date at the beginning of the chapter but I still found myself getting lost. 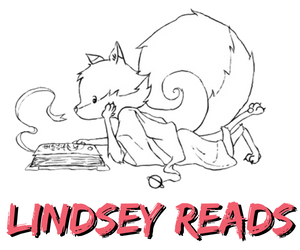 I would recommend Ready Player One and The Gentleman's Guide to Vice and Virtue on Audiobook! Audiobooks are great! I listen to them during my morning/evening commutes and when I’m cooking. For some reason, I have a hard time focusing on fiction audiobooks because my mind tends to wander a bit, so I stick to nonfiction mostly. Becoming is one of my faves! I am not a big audiobook fan because I find myself easily distracted. 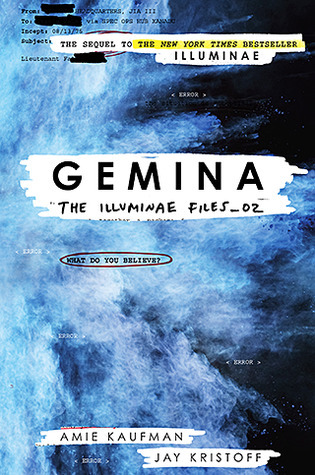 However, I have heard great things about the Illuminae Files audiobook! I’ll definitely have to check it out. I definitely need to check out the Illuminae audiobooks as well!